America’s math problem: Should we get rid of algebra? Is math holding the United States back? Last week, a community-college student from Harlem, speaking at a meeting of educators and community activists, told a harrowing story about his battle to get a degree. Raised by a single mother in a neighborhood wracked by violence, he had struggled to make it through high school. Then his mother died of cancer, leaving him to raise his three younger siblings alone. He pressed on in school despite new emotional and financial burdens, but there was a remaining obstacle that sometimes seemed like it would overwhelm him: algebra. Like thousands of would-be college graduates in the United States, he had been forced to enroll in remedial math classes in college, and the difficulty of passing it reduced his chances of reaching graduation. Half of community-college students take remedial classes, and only 10 percent of those who do graduate within three years, Business Week reported in May. And a fifth of four-year college students enroll in remediation, of whom only about a third graduate in six years. Those statistics come from a report on remediation published in April by Complete College America. The report’s numbers suggest that math requirements may be the primary obstacle to graduation for many students: In many states, a larger percentage of students enroll in remedial math courses than in remedial English courses. “Most students are placed in algebra pathways when statistics or quantitative math would be most appropriate to prepare them for their chosen programs of study and careers,” the report’s authors argue. In a report released today by the American Enterprise Institute, Jacob Vigdor calls for a different approach. Although he too is dismayed by American students’ performance in math, he argues that the problem is how algebra is taught, not that it is taught at all. He believes that for many students, an introduction to algebra comes much too soon—in eighth grade—meaning the material must be dumbed down so they can understand it. His evidence includes a program in North Carolina’s Charlotte-Mecklenburg school district aimed at increasing the number of eighth-graders taking algebra; students there who took algebra earlier scored much lower on an end-of-year exam than students who didn’t, he notes. Pushing algebra down to lower grades also alienates students who are able to grasp the concepts more easily, leaving fewer to be interested in pursuing math, as evidenced by the decline in math majors, according to Vigdor. 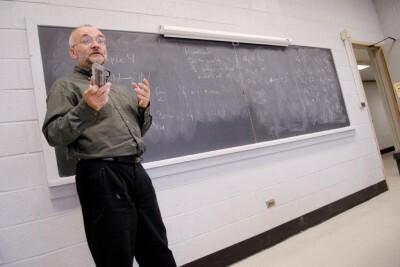 His solution is not necessarily to do away with algebra for the masses, however, but to do a better job of differentiating how it’s taught to students of various abilities and backgrounds. “American students are heterogeneous, and a rational strategy to improve math performance must begin with that premise,” he concludes. Getting rid of across-the-board standards in algebra isn’t likely to happen any time soon, however. Schools across the country are gearing up this fall to introduce new common standards, which promise that “students who have completed 7th grade and mastered the content and skills through the 7th grade will be well-prepared for algebra in grade 8” (italics in the original).